Ricardo Chaves says he won’t accept any outside cash to help in his quest to become mayor of Albuquerque. So the 81-year-old retired Albuquerque businessman who founded Parking Company of America is relying on a different pile of money to push his mayoral candidacy over the line: his own. To date, Chaves has pumped more than $500,000 into his campaign war chest, mostly through loans. In January 2016, he wrote an opinion piece in the Albuquerque Journal in support of Donald Trump, another political outsider who bankrolled much of his presidential campaign with his own money. Chaves still supports the president, he said, but won’t follow in Trump’s footsteps and seek outside funding as the mayoral campaign progresses. “I’ll put in whatever I think is needed to win the election,” he said. Chaves is certainly not the first self-funded candidate at the local, state or national level, though it appears to be a first at this level in Albuquerque. But it’s one of his campaign promises that points to a paradox — and a flaw in the city’s campaign finance system. Should he win, Chaves won’t support Albuquerque’s public financing system, which was created in part to ensure candidates can run for office without becoming beholden to the very special interests Chaves says he abhors. That system is currently teetering, at least when it comes to citywide races, largely due to the small amount of funds it provides compared to what competitors are able to raise, or in Chaves’ case, self-finance. As of July 14, with 10 weeks to go in the campaign, eight mayoral candidates reported $2,103,107 on hand altogether, significantly surpassing previous mayoral contests. Attorney and former chairman of New Mexico’s Democratic Party Brian Colón is the only candidate who’s out-raised Chaves so far. Albuquerque voters endorsed a public financing system for elections in 2005 with 69% of the vote. Campaign spending limits in place since 1974 had been struck down in court leading up to the 2001 mayoral election, and residents witnessed a dramatic upswing in spending during the 2001 and 2005 mayoral elections. Appetite for a new way to control election spending was strong. But this year, while the system still sees robust use in city council races, only one of eight mayoral candidates–State Auditor Tim Keller–is using public financing. As of July 14, the most recent reporting deadline, Colón had raised $639,350. Chaves reported $517,859, all of which comes from his own bank accounts. Keller reported $387,333, including public funds and in-kind support. Dan Lewis and Wayne Johnson reported $380,665 and $240,175, respectively. There are three other candidates in the race who have raised nominal amounts: Michelle Garcia Holmes, Augustus Pedrotty, and Susan Wheeler-Deichsel. The specter of wealthy candidates like Chaves who won’t take public financing but instead funnel large sums of their own money into campaigns may be what keeps candidates from using the system. “The current system doesn’t provide enough funds for me to effectively communicate my message to the citizens of Albuquerque,” Colón told NMID. Colón’s point can be traced to a 2011 U.S. Supreme Court decision that struck down an important component of a public financing system in Arizona similar to Albuquerque’s. That provision gave publicly financed candidates a dollar-for-dollar match — above the initial disbursement — to equal the amount of money their opponents had raised privately. The Supreme Court said it was an unconstitutional infringement of free speech. Albuquerque’s public financing system was similarly designed to provide funds to candidates so they can be competitive. But since the 2011 decision, Albuquerque has not provided candidates with matching funds, or modified the public financing program to include a different, but constitutional, measure that achieves the same objective. Had the city come up with a constitutional way to allow publicly financed candidates access to money they need to keep up with competitors, Colón would have been more inclined to go that route, he said. Currently, a publicly financed mayoral candidate is limited to one dollar for every registered voter in the city, this year a little more than $380,000, plus limited in-kind support. 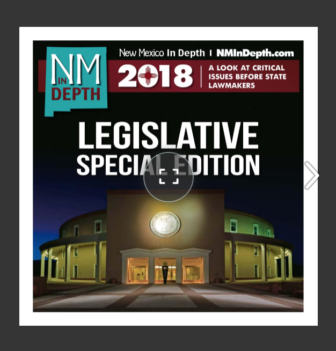 “There is no question that ABQ’s public finance system is very dated and in need of reform,” Keller wrote in an email to NMID. While funds available to Keller are limited compared to some privately financed candidates, at least one independent measure finance committee (the city’s version of a political action committee) has formed explicitly to support his campaign. Measure finance committees spring up every election cycle in Albuquerque. There are five current committees listed on the city website as this article publishes. In 2015, a non-mayoral election year, there were ten such committees and in 2013, when Mayor Richard Berry was re-elected, there were fifteen. Regarding formation of a measure finance committee explicitly to support a publicly financed candidate, Harrison of Common Cause said it’s frustrating but she can’t blame people for doing it. 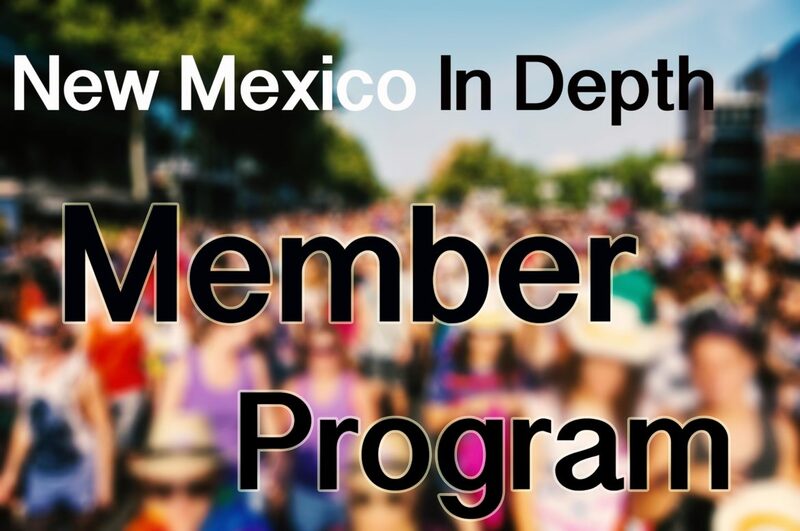 Albuquerque city councilors tried for a fix in time for the 2017 election when they approved a ballot measure last summer to increase what candidates get from $1 to $1.75 per registered voter. But the Bernalillo County Commission refused to include the proposal on the fall 2016 ballot for Albuquerque residents, and Albuquerque councilors subsequently didn’t place it on the 2017 city ballot. Harrison said there are several potential constitutional solutions in addition to raising the distribution to $1.75. For instance, the city could allow publicly financed candidates to raise small contributions of $100 above and beyond their initial infusion of public cash, that are then matched at a certain amount by the city. She also pointed to innovations elsewhere, like a Seattle program that gives registered voters $100 to distribute to candidates of their choice. 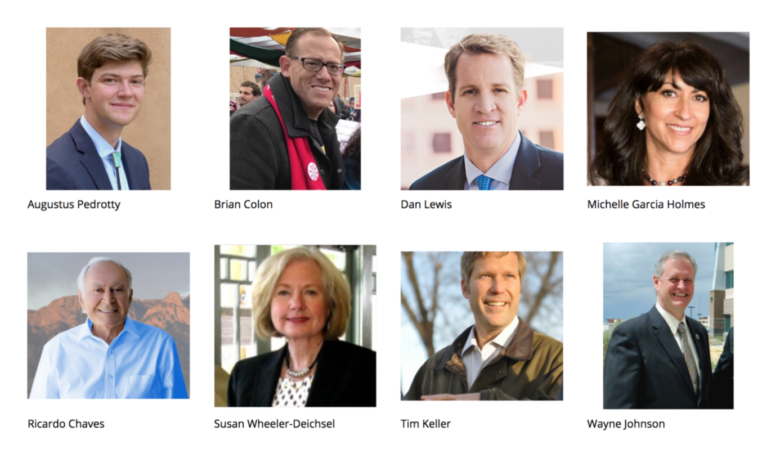 Keller says there’s more to a race than money, stating on his website that his campaign is a “people-powered movement.” And if the number of people supporting a campaign financially is an indicator of the outcome of a race, rather than just the total amount raised, Keller looks more competitive. While NMID hasn’t assessed the volunteer base of each campaign, a proxy of sorts can be gleaned from comparing the number of financial contributors each candidate has so far. The public financing system by design forces candidates to raise small dollar donations from a significant amount of people. In Keller’s case, he had to persuade at least 3,802 Albuquerque voters to give him $5. He blew past that, according to his campaign manager, Jessie Hunt. Contributors as of July 14, 2017. Keller also raised initial seed money for his campaign. Combining those contributors with the number of $5 contributions recorded on the city website, shows Keller has at least 4,793 supporters willing to dip into their pocket books for him. The candidate with the next biggest pool of financial supporters is Brian Colón, with 903 in mid-July. By contrast, in 2013 incumbent mayor Richard Berry’s campaign reports reflect 1,699 supporters by the end of the campaign in October of that year. Note on deriving number of contributors: We were interested not only in number and size of contributions, but in how many people or businesses those contributions actually represent. To arrive at our figures, if a name and address matched more than once, we removed all but one entry for that person or business. It’s possible we didn’t capture every duplication, and possibly eliminated a non-duplication. But by using a uniform approach to removing duplicates and in the process significantly reviewing the campaign finance reports, we are confident these numbers accurately reflect the candidates standing vis a vis one another when it comes to the number of people or businesses who’ve contributed to their campaign. An often heard saying about elections is that candidates spend their time asking anyone they can find for money to fund their campaigns. The amount of money being raised and spent so far in the Albuquerque mayor’s race is already an unprecedented $2,646,494.